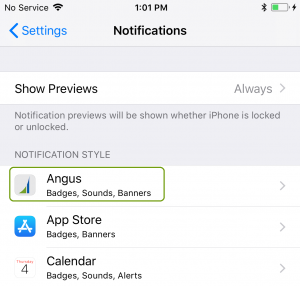 In today’s post, we will look at how to enable push notifications on iOS® 11/12 and Android™ OS 7 devices. 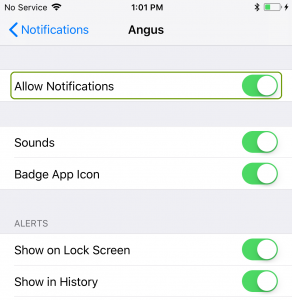 Push Notifications are alerts that appear on a mobile device (whether it’s locked or in use) and let you know when certain events occur in Angus AnyWhere. For example, notifications let you know when a work order has been assigned to you, a work status has changed, etc. 3. 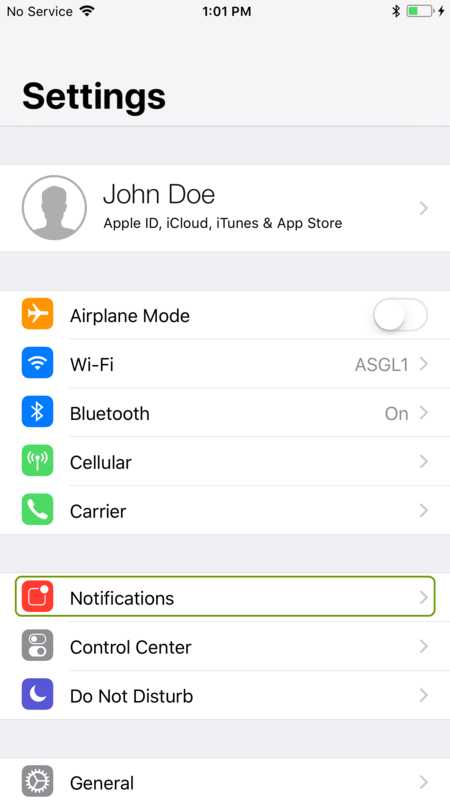 Turn on Allow Notifications and ensure that the various notification options are configured to suit your preferences. Please note that depending on your mobile device’s manufacturer and specific version of Android™ OS, the process may be different from the steps shown below. For detailed instructions on enabling or disabling push notifications for your specific make and model of Android™ device, please consult your manufacturer’s online instruction manuals or forums for assistance. 1. Tap the Settings icon ( ) on your device. 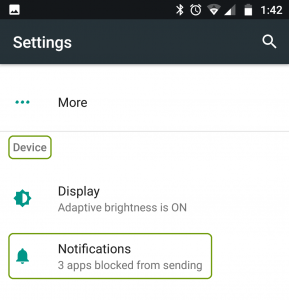 Under the Device section, select Notifications. 2. 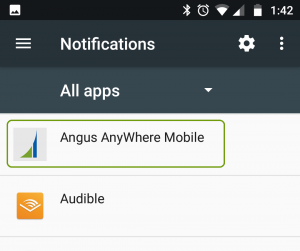 Select the Angus AnyWhere Mobile app from the list. 3. 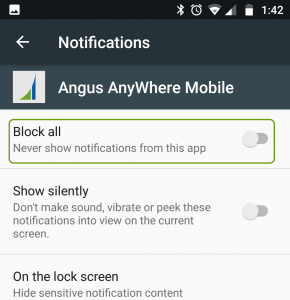 Disable Block all and ensure that the various notification options are configured to suit your preferences. Thank you for taking the time to read this month’s Tip. 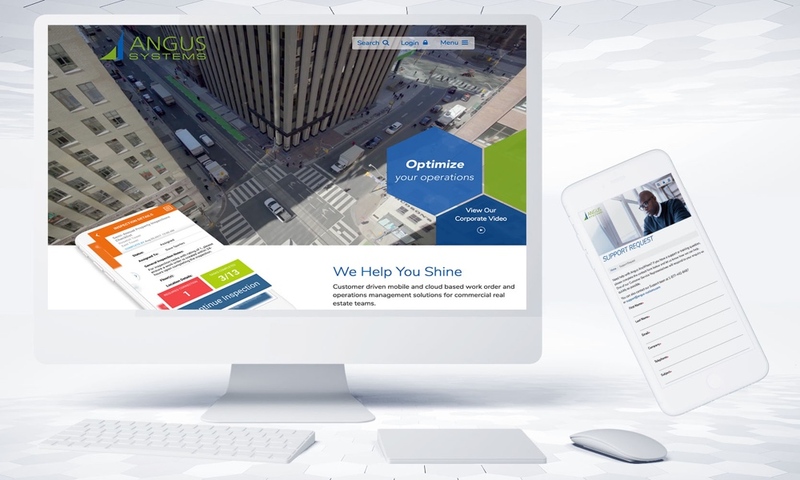 If you have any questions about the Angus AnyWhere mobile app, please do not hesitate to contact our Support team at 1.888.274.1696 or email support@angus-systems.com.